Only five companies still hold their original contractor licenses from the first 100 that were granted contractor licenses when the Contractors License Bureau, the forerunner of CSLB, was created in 1929. But it's been quite a legacy that those five – Teichert Construction (No. 8), Graniterock, (No. 22), Griffith Company (No. 88), Granite Construction Company (No. 89), and Swinerton Builders (No. 92) – have built in California and beyond since that time. If your water comes from the California or Colorado River Aqueduct, if you've flown into Los Angeles, John Wayne (Orange County) or Sacramento International airports, driven along Highway 99 through the Central Valley or the Santa Ana Freeway in Southern California – just to name a very few projects – you are the beneficiary of a project delivered by Teichert, based in Sacramento, Watsonville's Granite Construction, and Griffith of Brea. 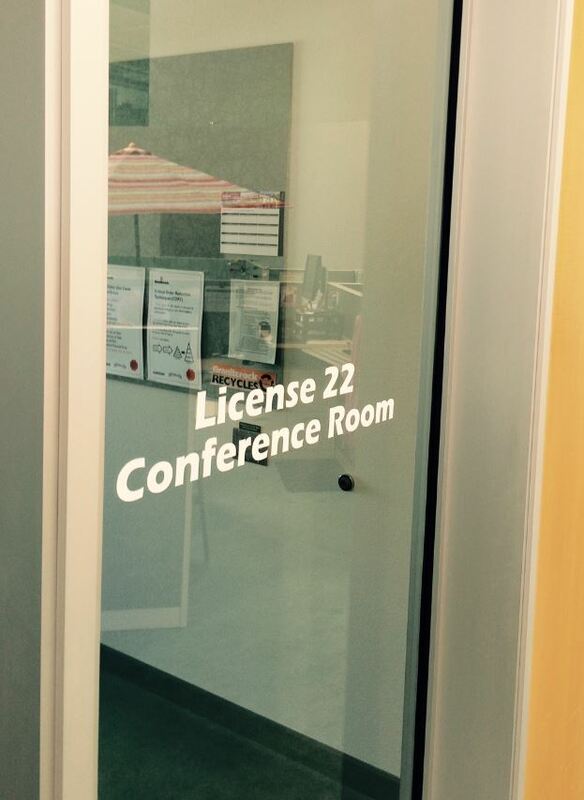 Teichert is CSLB's earliest active licensee at License No. 8, issued September 24, 1929. Founded in 1887 by stone mason Adolph Teichert, the company became a powerhouse in the highway construction and materials supply sectors, particularly in Northern California. Graniterock, which was founded as Granite Rock Company in 1900, was assigned License No. 22 one week later, on Oct. 1, 1929. Granite Construction Company was a division of Granite Rock Co. when it was granted License No. 89 on the same day. The two Granite business entities separated only a few years later, when Granite Rock sold the Granite Construction division to a pair of company executives during the depths of the Great Depression. "We're extremely proud of being Licensee No. 8," said Mary Rotelli, Teichert's chief operating officer. "It's on all of our construction business cards, and on the doors. It brings a respectability." From that split, Granite Construction grew into the publically held, general construction/materials giant of today – still using License No. 89. Granite Rock Co. is now Graniterock, which remains family held, specializing in materials mining and supply, and general construction projects in the San Francisco Bay Area and Central Coast. Both companies still call Watsonville their home. Griffith, a major player in the general contracting scene in Southern California and beyond since 1902, obtained License No. 88 on September 24, 1929. Griffith helped build the vast infrastructure network that helped fuel the south state's phenomenal growth, and is still active in heavy construction projects in the region today. Swinerton, based in San Francisco, was issued License No. 92 on October 1, 1929. In its long and diverse construction history, Swinerton has delivered landmark projects in California that include the de Young Museum and Ghiradelli Square in San Francisco, a rebuild of the Hotel Del Coronado in San Diego, and even the iconic Brown Derby restaurant of Los Angeles movie lore. In addition to its high-visibility projects, Swinerton has been involved in building up infrastructure networks in California and other Western states, and has diversified even further into hotel, office and public works building throughout the West. Representatives of the CSLB's earliest licensees say that their company's status is a point of pride, and is prominently displayed in literature and marketing efforts. "We're extremely proud of being Licensee No. 8," said Mary Rotelli, Teichert's chief operating officer. "It's on all of our construction business cards, and on the doors. It brings a respectability. For customers, it helps them understand what an established company we are. It's a point of pride for our employees, and when hiring, it distinguishes the company." Tom Squeri, president and chief executive officer at Graniterock, said his company's status as CSLB's second-earliest license holder at No. 22 figures prominently in its marketing and employee orientation efforts. "When we conduct our regular orientation sessions, License No. 22 is often part of the conversation," Squeri said. "Much as we are proud of being founded in 1900 and tell new team members that maybe this is the oldest company you will ever work for, we also proudly tell them we own CSLB No. 22." company's No. 22 license standing with CSLB. As a reminder of that stature, Squeri said the declaration "License 22" is displayed on company literature and even serves as the name of an executive conference room at Graniterock's Watsonville office. Dan McGrew, vice president of business development for Griffith, said his company was in select company to be among CSLB's earliest 100 licensees. "It's something that only five of us now can say. Absolutely, it's a source of pride for us," McGrew said. "We walk into a project with over 100 years of experience of doing a lot of different things. Everything you see in the state, from water, to military to freeways, we've had our fingers in." "History pretty much equates to stability," added Jeffrey Hoopes, chief executive officer of Swinerton Builders. "That financial stability says you've figured it out to survive the depressions and those forks in the road." To stand the test of time as one of CSLB's original licensees "is a form of credibility," Hoopes said. The trust factor is critical when dealing with so many large, complex and costly construction projects, he said. There is a bit of mystery, however, connected to how each firm received its license number. The earliest license issue date shown in CSLB records is September 24, 1929, when Teichert and Griffith were both granted licenses. Teichert was assigned license No. 8, and Griffith No. 88. Yet, Granite Rock Company holds an earlier license number than Griffith, No. 22, despite being issued a license more than a week later. One theory for the discrepancy holds that, in those early days, a contractor's license number was based on receipt tendered for the then-new license fee. Another possible explanation is that applications were simply pulled out of a central stack by different clerks who processed them at varying times, or that some applications submitted early may have required more information and were set aside and later awarded numbers. While the reasons behind the license number sequence may be lost to history, the fact is that the five surviving contractors on CSLB's first 100 list are members of a very exclusive club. "We are figuratively and literally part of the foundations of the communities in which we work and live, and having 116 years in business and the second oldest contractor license speaks volumes in that regard," said Graniterock's Squeri. The California contractor licensure system is one that has proven itself as invaluable through the years to consumers and the construction industry, Griffith's McGrew said. "We've always been advocates of the licensing board," he said. "We support it 120 percent. It's extremely important to have a level playing field." Rotelli, of Teichert, agreed. "Having a licensing service creates a shortcut to trust," she said. "Having a license says to everyone, 'here's something they have going for them.'" This story was revised June 1, 2016, to add new information.